Could the soda maker possibly 'Open happiness' between India and Pakistan? Coca-Cola wants to help solve one of the thorniest political conflicts in the world. How? More Coca-Cola for everyone, of course. The brand today launched the latest video in its "Open happiness" campaign. 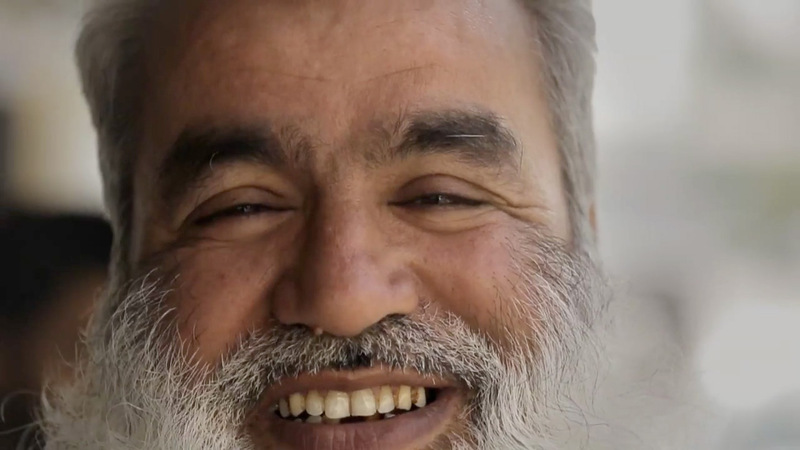 The three-minute spot from Leo Burnett showcases a pair of connected vending machines that Coke and the agency set up in India and Pakistan. Each vending machine featured a webcam and a giant touchscreen monitor. Passersby could grant free sodas to the people on the other side of the digital window—but only if both parties participated in a series of simple joint activities, like touching their hands to corresponding places on the screen, drawing concurrent peace signs, and dancing with each other. Creatively, it's a powerful piece, and very well executed. It also feels like a souped-up extension of the smartphone app that earned Coca-Cola the inaugural Mobile Grand Prix at Cannes last year—which let users buy unsuspecting strangers around the world cans of soda. While that campaign lacked the explicit political theme of this one, both are built around making a gesture of kindness to someone you don't know, and are rooted in the global Kumbaya spirit of the brand's classic Hilltop campaign from some 40 years ago. The political element raises the stakes considerably, though. Cola diplomacy runs the risk of coming across as painfully naive by oversimplifying a complex issue that's tangled up in a long history of imperialism, religious conflict and nuclear stand-off, to name a few factors. Coke frames this powder keg of a problem as, on some level, simply one of miscommunication—because that's small enough that the brand can then frame itself as the solution. Sure, more understanding and common ground isn't a bad thing, and Coke takes some pains to temper the portrayal of its own success, erring on the side of aspirational everyman/everywoman voiceover platitudes throughout the spot (e.g., "We are going to take minor steps so that we are going to solve bigger issues.") But really, what the brand is taking minor steps toward is selling more sugar water in a way that isn't explicitly about selling more sugar water, and has at least the veneer of a higher purpose. That's no surprise—the social-media zeitgeist holds that doing good is good for business. Yes, a warm-and-fuzzy video like this has some entertainment value, and it's is certainly more palatable—and arguably more effective—than a hard-sell product spot. But doesn't distilling a geopolitical conflict into short-form branded content do more harm than good by trivializing it? Or if everyone just drank a Coke, would they really get along?